Revolution Day is the biggest secular public holiday in Egypt. It is celebrated on July 23. Revolution Day marks the anniversary of the Egyptian Revolution of 1952 which lead to the overthrow King Farouk and establishment of the Republic of Egypt. King Farouk I ascended the throne in 1936, following the death of his father Fuad I. After the Second World War, Farouk was widely condemned for his ineffectual and corrupt government, maintenance of British military presence in Egypt and defeat in the 1948 Arab-Israeli War. The Egyptian Revolution of 1952 was carried out by the Free Officers Movement, a groups of nationalist military officers led by Gamal Abdel Nasser and Muhammad Naguib. Originally they planned to overthrow the king in early August, but had to strike earlier in fear of being arrested. On July 23, 1952, the Free Officers forced Farouk to abdicate and go to exile. His infant son ascended the throne as Fuad II, but the country was in fact ruled by the Free Officers. Less than a year later, Egypt was declared a republic. When Egypt became a republic, the anniversary of the 1952 coup d'état was declared as a national holiday, Revolution Day. 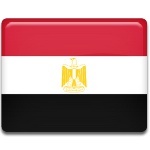 It can be regarded as the National Day of Egypt. It is marked with large and elaborate celebrations, including public speeches, military parades and concerts.